1- Women live in the worst days of their lives under the clutches of the capitalist system, the source of all that women suffer in our days and in various aspects, it seeks to recover at the expense of women’s physical and emotional suffering. 2- The economic empowerment of women call in Tunisia has malicious backgrounds and objectives. It only seeks to separate women from their privileges and maternity, and withdraw them from the guardianship of men, so that women take the role of men, and consolidate the concept of gender (equality). 3- The aim of the local agendas, which is dictated by the orders of the colonizer, and are subservient to the foreigner, is to destroy the Islamic concepts and rules within the family by targeting women, to remove the woman and distract her from her vital and fundamental role in the family, under the pretext of economic empowerment. 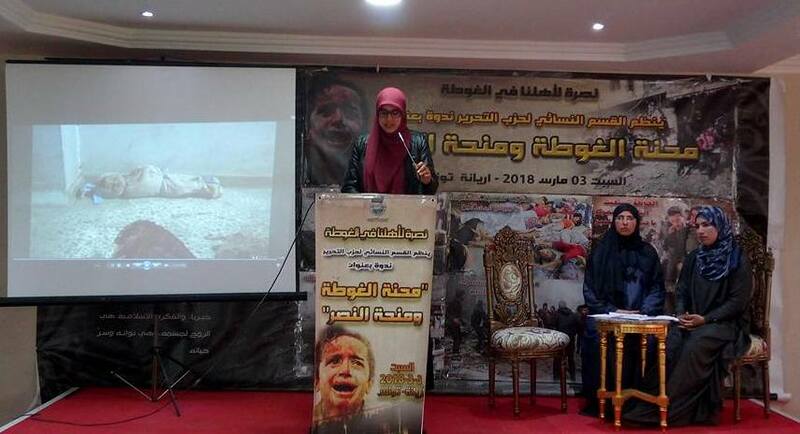 4- The Women’s Section of Hizb ut Tahrir / Wilayah Tunisia is working tirelessly to expose the corruption and falsity of the regime, its plans and methods that make women a tool, exploited to work in Western projects in the name of freedom, modernity, secularism and economic empowerment. We in the Women’s Section of Hizb ut Tahrir / Wilayah Tunisia, draw your attention to the fact that the party provides a detailed alternative to the social system, from Islam, guaranteeing women and their families the real empowerment, considering that the state in Islam is a guardian of needs, not a guardian of freedoms or a tax collector. We call you my sisters to work with us to establish the state of Islam, the Khilafah, that our Prophet Muhammad ﷺ gave us its glad-tidings, a Khilafah on the method of Prophethood, it is our shield and path to our paradise, so do not accept the humiliation of the colonialist, and seek the reward of this great work. My dear sisters join us against this regime, and support the Deen of Allah and its rules.